Taylorsville High School celebrated homecoming with a win over Richton High School. While the players were busy getting the job done on the field, volunteers from Hol-Mac Corporation made sure no one went hungry. 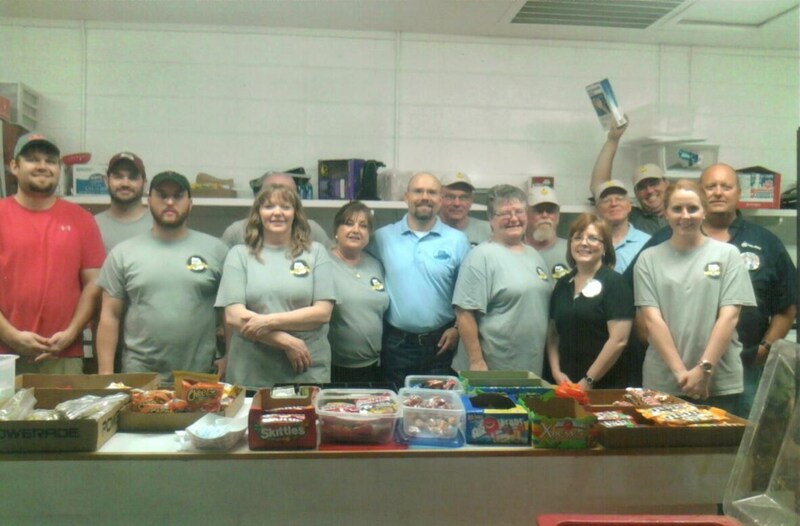 Fifteen Hol-Mac team members staffed the concession stand in an effort to raise funds for Taylorsville High School’s Band Boosters. Volunteers also sold cotton candy from which all proceeds will be used towards the purchase of new band uniforms. (L-R): Daniel Sisco, Brian Parker, Charlie Holder, Lynn Wilson, Wayne Walley, Martha Shutze, Andy Starbuck, Paul Blackwell, Peggy McCluskey, Morris McCluskey, Kris Holder, Harold Montgomery, Scott Branch, Leanne Holder and Chuck Holder.